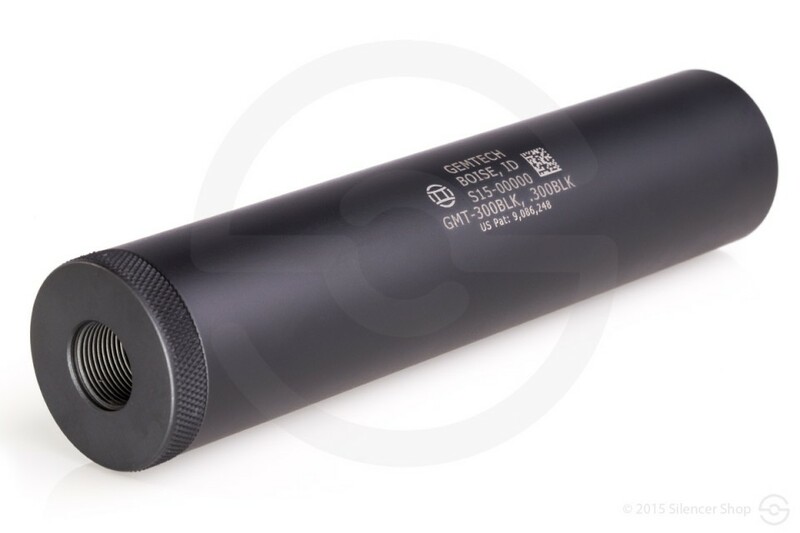 In 2014, Gemtech launched a line of user-serviceable suppressors that utilize their G-Core monocore baffle design and helped shape the market. Within this impressive group, the GMT-300BLK stood out as a true “gem.” Unlike some .30 caliber silencers, the GMT-300BLK is specifically engineered for the .300 Blackout round and offers shooters the coveted full-auto rated designation. The innovative minds of the Gemtech operation are found in Boise, ID, where their cutting-edge designs become reality. With the unveiling of revolutionary units like the GMT-300BLK suppressor, Gemtech will continue to pioneer the silencer manufacturing industry for a long time to come. This all-titanium can features Gemtech’s G-Core baffle setup, which aids in its overall performance and offers a minimum 28 dB sound reduction. The GMT-300BLK is a compact (6.7” long) and lightweight (14 ounces) suppressor that is optimized for use with both super- and subsonic ammunition in short-barreled rifles. This direct-thread silencer is as versatile as it is convenient. Being a user-serviceable unit, the GMT-300BLK is easy to disassemble for cleaning and general maintenance. With so many effective features, why not pull the trigger on your purchase and own one of these rock stars?